Dario is a platform that enables you to measure and track your blood glucose levels using our self-monitoring blood glucose meter (the “Device”) which connects to your mobile device, allowing you to monitor your blood glucose levels through the App and to share such information with third party medical providers, including but not limited to clinics, insurance providers, hospitals or other healthcare professionals as part of the relevant Services. The Site and App also include information regarding the Company as well as content such as contact information, videos, text, logos, images, data compilations, links, other specialized content, technical data, documentation, know-how, specifications materials, designs, data, the “look and feel” of the Site and App, algorithms, interface, GUI, interactive features related graphics, illustrations, drawings, animations, and other features obtained from or through the Site and App (collectively, “Our Content”). All rights in and to Our Content (including that arising out of or connected with your interaction with the Site or the App) are reserved to the Company. You are required to create an account in order to use the Services (the “Account”). Registration can be done by completing the registration process in the Site or App. You agree that all information provided by you is accurate, full, complete and up-to-date at all times. Any registration is solely for you and you may only use one single Account. You may not use the accounts of others, or allow others to use your Account, and you are solely responsible for preventing such unauthorized use of your Account. You agree that we rely on the user ID and password protection format to confirm whether users accessing and using our Services are authorized to do so. In order to protect the security of your information available on your Account to the greatest extent possible, you must safeguard and not disclose your Account log-in details and you must supervise the use of such Account. Please notify us immediately if you become aware that your Account is being used without authorization. We strongly recommend having a complex password, to be kept secured at all times. You are also encouraged to change your password regularly. You must notify us immediately of any unauthorized use of your Account or any other breach of security. You acknowledge that you shall be held solely responsible and solely liable for anything that occurs in your Account and any activity in your Account, including without limitation, for any User Content (as defined below) uploaded to your Account. Through our Site, App or Services you may be able to input certain information in conjunction with the Device or submit, share and upload information, messages, comments, posts, text, photographs, data and other materials (collectively, the “User Content”). You represent and warrant that you have (and will continue to have) all the necessary licences, rights, consents, and permissions to use such User Content and that such User Content does not infringe any third party’s intellectual property, privacy, publicity or other rights. You are solely responsible for your User Content and the consequences of posting or publishing it. We will not bear any liability for any loss, damage, cost or expense that you or any third party may suffer or incur as a result of or in connection with uploading any User Content. You agree that you will not post or upload any User Content which is unlawful, defamatory, offensive, fraudulent or which gives rise to civil liability or is otherwise inappropriate or false. We have no obligation to screen, edit or monitor any of your User Content, and we explicitly reserve the right to remove or edit any User Content on the Site and App at any time without notice, and for any reason, and you are solely responsible for creating backup copies of your User Content at your sole expense. We may, at our sole discretion, terminate Accounts or remove User Content from the Site and App if we determine or suspect that those Accounts or User Content breach these Terms. Once an Account is terminated, it will not be billed after the date of termination. However, all previous payments made in connection with the terminated accounts will not be refunded, and you agree that in such circumstances, you have no right to a refund. There are certain conducts which are strictly prohibited when using the Services. You (a) may not make available or use the Site, App or Services for the benefit of any third party; (b) may not sell, resell, license, sublicense, distribute, make available, rent or lease any Site, App or Services, or exploit such Site, App or Services for any commercial purposes; (c) may not use any Services, or any Third Party Services, to store or transmit any illegal, immoral, unlawful and/or unauthorized materials or interfere with or violate a third party’s rights to privacy and other rights, or harvest or collect personally identifiable information about third parties without their express consent; (d) may not use any Services, or any Third Party Services, to transmit or otherwise make available any malicious code, including any virus, worm, trojan horse, time bomb, web bug, spyware, or any other computer code, file, or program; (e) may not interfere with or disrupt the integrity, performance or operation of the Site, App or Services, or any part thereof; (f) may not attempt to gain unauthorized access or bypass any measures imposed to prevent or restrict access to the Site, App or any Services; (g) may not use or take any direct or indirect action that imposes or circumvents any usage limits; (h) may not copy, modify, distribute, create derivative works, translate, port, reverse engineer, decompile, or disassemble any portion of the Site, App or Services, or any material that is subject to our proprietary rights or use any of the foregoing to create any software or service similar to the Site, App or Services under these Terms; (i) may not use any User Content of any user or other third party appearing on or through our Site, App and Services, without our prior written consent; and (j) may not misrepresent or impersonate any person or provide inaccurate User Content. Any breach of the Terms by you, as shall be determined in our sole discretion, may result in the immediate suspension or termination of your Account. Once an Account is terminated, it will not be billed after the date of termination. However, all previous payments made in connection with the terminated accounts will not be refunded, and you agree that in such circumstances, you have no right to a refund. We or a third party may offer you third party services as part of the Services (the “Third Party Services”), including but not limited to third party coaching services. Your use of the Third Party Services is subject to such terms and conditions and specifications offered by each Third Party Service provider. You acknowledge that we are not the author, owner or licensor of any Third Party Services, nor are we responsible for or endorse any Third Party Services. We shall provide the Third Party Services “as is” and make no representation or warranty with respect to them. Implied warranties of fitness for a particular purpose, satisfaction and merchantability shall not apply. The entire risk as to the quality and performance of the Third Party Services is borne by you. Your sole recourse in the event of any dissatisfaction with the Third Party Services is to stop using such Third Party Services. If you wish to terminate these Terms you may do so at any time for any reason or without reason by ceasing use and deleting your Account. Deleting your Account can only be done by sending an email directly to support@mydario.net.au with a specific request which will require us to authenticate the request. Thereafter you shall not be able to use any of the Services until you renew your registration to the Site and App. Cancelling your Account may cause the loss of certain information you provided us and/or the capacity of your Account. We do not accept any liability for such loss. Termination of your Account shall not relieve you of your obligations to pay amounts accrued or owing, nor affect any legal rights or obligations which may have arisen under these Terms prior to or at the date of termination. We may terminate, limit or suspend your access to all or any part of your Account under these Terms at any time, at our sole discretion, with or without notice, effective immediately, and such termination may result in the destruction of all information and data associated with your use of Services under these Terms. Once an Account is terminated, it will not be billed after the date of termination. However, all previous payments made in connection with the terminated accounts will not be refunded, and you agree that in such circumstances, you have no right to a refund. Upon termination of your Account: (i) all rights granted to you hereunder will automatically terminate, and (ii) you must immediately cease all use of the Site, App and Services under these Terms. All Sections which by their nature are meant to survive, shall survive termination of these Terms. The Site, App and Services including application contents, such as text, graphics, images, and information obtained from the Site, App and Services and its licensors, are not intended to be used or viewed as providing medical advice, or as a substitute for consultation with a qualified healthcare provider. The Site, App and Services are intended to help individuals with their blood glucose management. They are intended for use only with those blood glucose meters that are listed in your User Guide, located on our support page: https://mydario.net.au/support/getting-started/ . The information provided by the Site, App and Services cannot be the basis for diagnosis of any medical condition or therapy. You are advised to always seek the advice of your doctor or other qualified healthcare provider regarding any medical condition and before starting any new treatment. The Site, App and Services are not intended as a substitute for professional advice from a qualified healthcare provider familiar with your unique facts and medical history. You are further advised to never disregard professional medical advice or delay in seeking it because of something you read or learned from the Site, App and Services. Materials provided as part of the Site, App or Services are intended to assist you in understanding your health. Reliance on any information provided through the Site, App and Services is solely at your own risk. We assume no liability or responsibility for damage or injury to persons or property arising from any use of any product, information, ideas, or advice contained in the materials provided. You further acknowledge that the Site, App and Services are and any of its alerts or notifications depend on information that you input into the App. We do not recommend or endorse any drug or product, and alerts are not guidance regarding dosing information. The provision of reminders or alerts with respect to any drug or product is not a recommendation or endorsement. The absence of a warning or alert does not and should not be construed to indicate that any activities, food, drugs or other health recommendations are appropriate or effective. The Site, App, Services and Our Content are provided on an “as is” basis. Without limiting the foregoing, we explicitly disclaim all warranties, express or implied, regarding the Device, Site, App, Services and Our Content, including any warranties of quality, availability, merchantability, fitness for a particular purpose or non-infringement. We make no and disclaim any warranty that the Site, App, Services or Our Content will meet your requirements or be available on an uninterrupted, secure, or error-free basis. We make no and disclaim any warranty regarding the quality of the Device, Site, App, Services or Our Content, or to the accuracy, timeliness, truthfulness, completeness or reliability thereof. The above shall also apply to any information you may receive from us or through us at any time. You hereby release us from any damages, claims or other cause of action related in any way, directly or indirectly, to the device, Site, App, Services or Our Content. Without limiting the foregoing, we further disclaim any warranties that the Device, Site, App or Services are free of viruses or other harmful components. Your use of the Device, Site, App and Services is at your own risk, and you are solely responsible for any damage to your mobile device and/or any data loss that may result from your use of the Device, Site, App or Services, including without limitation, damage resulting from computer viruses. No communication, information or advice given by us or any representative of ours shall create any warranty or condition. Please note that some jurisdictions may not allow the exclusion of implied warranties, so some of the above exclusions may not apply to you. This disclaimer constitutes an essential part of this agreement. No content published on the Device, Site or App, or through the Services, constitutes a recommendation, endorsement or opinion of the Company. You are solely and exclusively responsible for all your communications and interactions with us or with any person or entity with whom you may communicate, interact or engage as a result of your use of the Device, Site, App or Services. You agree and confirm that we do not, and do not intend to, make any inquiries of any person or entity or verify the information any person or entity submits or provides while using the Device, Site, App or Services. You agree to take precautions in all communications and interactions with any person or entity whether made on-line or off-line. For business carried on in Australia, the above Disclaimer is subject to the Australian Consumer Law. Notwithstanding the above Disclaimer, the Australian Consumer Law does not permit the exclusion, modification or restriction of consumer guarantees in Division 1 (Consumer guarantees) of Part 3.2 (Consumer transactions) of Chapter 3 (Specific protections) of Schedule 2 (The Australian Consumer Law) of the Competition and Consumer Act 2010 (Cth). These consumer guarantees include (a) that goods are of acceptable quality, (b) that goods are fit for any disclosed purpose, (c) that goods correspond to the description given, (d) that services are rendered with due care and skill, (e) that services are fit for a particular purpose for which the customer is acquiring the services. In no event shall we be liable to you or any third party for any damage, whether direct, indirect or implied, including, without limitation, incidental, consequential, exemplary, special, or punitive damages, and including further, damages which may arise in connection with the Device, Site, App, Services, Our Content or these terms, including, for example, damages resulting from loss of profits, data, use or access to (and lack thereof) the Device, Site, App, or Services. We shall not be liable for any damages arising from any transaction or engagement between you and any third party or for any information provided by you or any third party. You hereby expressly agree that we shall have the right, at any time and at our sole discretion, to take any action to monitor any interaction or engagement resulting from the use of the Device, Site, App and Services by you and any third party. To the full extent permitted by law, you hereby release us from any claims or liability relating in any way thereto. For business carried on in Australia, the above Limitation of Liability is subject to the Australian Consumer Law. Notwithstanding the above Limitation of Liability, the Australian Consumer Law does not permit the exclusion, modification or restriction of consumer guarantees in Division 1 (Consumer guarantees) of Part 3.2 (Consumer transactions) of Chapter 3 (Specific protections) of Schedule 2 (The Australian Consumer Law) of the Competition and Consumer Act 2010 (Cth). These consumer guarantees include (a) that goods are of acceptable quality, (b) that goods are fit for any disclosed purpose, (c) that goods correspond to the description given, (d) that services are rendered with due care and skill, (e) that services are fit for a particular purpose for which the customer is acquiring the services. You shall defend, indemnify, and hold harmless the Company, its affiliates and each of its affiliate’s employees, contractors, directors, suppliers and representatives from all liabilities, losses, claims, and expenses, including without limitation to reasonable legal costs, that arise from or relate to (i) your access, use or misuse of the Device, Site, App and the Services, including without limitation with respect to any information you submit, post or transmit through the Site, App or the Services, (ii) your violation of these Terms or any applicable law, contract, policy, regulation or other obligation, or (iii) your violation of any third party rights, including without limitation any intellectual property rights or privacy right of such third party with respect to your use of the Site, App, Service and Our Content. The Company reserves the right to assume the exclusive defence and control of any matter otherwise subject to indemnification by you, in which event you will assist and fully cooperate with the Company in connection therewith. Subject to the limited licence right expressly granted hereunder, we and our licensors and third party providers, as may be applicable, reserve all rights, title and interest in and to the Site, App and Services and Our Content, including all related intellectual property rights therein. No rights are granted to you hereunder other than as expressly set forth herein. Nothing in the Terms constitutes a waiver of the Company’s intellectual property rights under any law. We welcome and encourage you to provide feedback, comments and suggestions for improvements to the Site, App and Services (“Feedback”). You may submit Feedback by email to info@mydario.net.au . You acknowledge and agree that all Feedback will be solely and exclusively our property and you hereby irrevocably assign to us all right, title, and interest that you may have in and to all Feedback, including without limitation all worldwide patent rights, copyright rights, trade secret rights, and other proprietary or intellectual property rights therein. 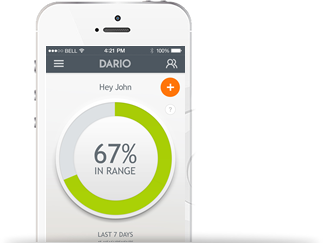 “LabStyle”, “DarioHealth”, “Dario”, “MyDario” and “mydario.com” and any of the Company’s marks and logos and all proprietary identifiers used by us in connection with the Site, App and Service are our trademarks, service marks and trade names of the Company, whether or not registered. No right, licence, or interest to such marks is granted hereunder. Other names that are mentioned on the Site and App or provided as part of the Services may be trademarks of their respective owners. We reserve all rights that are not expressly granted to you hereunder. Since you are downloading the App from a third party platform, service provider or distributor (“Provider”), your use of the App may also be governed by usage rules which the Provider may have established and which relate to your use of the App (“Usage Rules”). In addition to the Usage Rules specified below, it is your responsibility to determine what other Usages Rules are applicable to your use of the App. You undertake to comply with all Usage Rules applicable to your use of the App and these are incorporated herein by reference. The following applies to you if you downloaded the App from the Apple App Store (“App Store Sourced Application”): You acknowledge and agree that (i) these Terms are concluded between you and the Company only, and not Apple; and (ii) the Company, not Apple, is solely responsible for the App Store Sourced Application and content thereof. Your use of the App Store Sourced Application must comply with the App Store Terms of Services. You acknowledge that Apple has no obligation whatsoever to furnish any maintenance and support services with respect to the App Store Sourced Application. You acknowledge that, to the maximum extent permitted by applicable law, Apple has no other warranty or obligation whatsoever with respect to the Application and all other claims, losses, liabilities, damages, costs or expenses attributable to any failure to conform to any warranty shall be the sole responsibility of the Company, to the extent applicable (see Disclaimer, Limitation of Liability, and Indemnity sections above). As between the Company and Apple, any other claims, losses, liabilities, damages, costs or expenses attributable to any failure to conform to any warranty will be the sole responsibility of the Company. You acknowledge that (i) you are not located in a country that is subject to a U.S. Government embargo, or that has been designated by the U.S. Government as a “terrorist supporting” country; and (ii) you are not listed on any U.S. Government list of prohibited or restricted parties. You and the Company acknowledge that, as between the Company and Apple, Apple is not responsible for addressing any claims you have or any claims of any third party relating to the App Store Sourced Application or your possession and use of the App Store Sourced Application, including, but not limited to: (i) product liability claims; (ii) any claim that the App Store Sourced Application fails to conform to any applicable legal or regulatory requirement; and (iii) claims arising under consumer protection or similar legislation. You and the Company acknowledge that, in the event of any third party claim that the App Store Sourced Application or your possession and use of that App Store Sourced Application infringes that third party’s intellectual property rights, as between the Company and Apple, the Company, not Apple, will be solely responsible for the investigation, defence, settlement and discharge of any such intellectual property infringement claim to the extent required by these Terms. You and the Company acknowledge and agree that Apple, and Apple’s subsidiaries, are third party beneficiaries of these Terms as related to your licence of the App Store Sourced Application, and that, upon your acceptance of the Terms, Apple will have the right (and will be deemed to have accepted the right) to enforce these Terms as related to your licence of the App Store Sourced Application against you as a third party beneficiary thereof. Without limiting these Terms, you must comply with all applicable third party terms of agreement when using the App Store Sourced Application. We reserve the right to modify, correct, amend, enhance, improve, make any other changes to, or discontinue, temporarily or permanently this Device, Site, App, Our Content or any of the Services, without notice, at any time. We may also revise these Terms at any time at our sole discretion (see above). You agree that your continued use of the Device, Site, App and Services following such modifications constitutes your acceptance of such modifications. We shall not be liable to you or to any third party for any modification, suspension, or discontinuance of the Device, Site, App, Services or Our Content included therein. If the Company supplies to you any updates, upgrades and any new versions of the App according to its then current policies, it may include automatic updating or upgrading of the App with or without any additional notice to you and the Terms will govern any such updates unless these are accompanied by a separate licence agreement which will prevail, and all references herein to the App shall include such updates. For clarity, the Company has no obligation to provide updates. These Terms do not create any partnership, employment, agency or other relationship not herein specifically and explicitly agreed. There are no third-party beneficiaries of these. We may assign this Agreement in whole or in part at any time without notice. You may not assign your rights under these Terms, in whole or in part, to any third party without our prior written consent, and any attempt by you to do so will be null and void. Should any part of these Terms be held invalid or unenforceable, that portion will be read down and construed to be consistent with applicable law and the remaining portions will remain in full force and effect. Failure by us to enforce any provision of these Terms will not be considered a waiver of the right to enforce such provision. Our rights hereunder will survive any termination or expiration of these Terms. These Terms will be governed by the laws of the State of Israel. You agree that the courts located in Tel Aviv, Israel will have exclusive jurisdiction over any dispute between you and us. However, the Australian Consumer Law applies to business carried on in Australia, along with the relevant Australian jurisdiction. You agree that we may seek equitable relief in any jurisdiction when appropriate. Unless a specific agreement is signed by you and us, these Terms (and the policies incorporated herein by reference) constitute the entire and only agreement between you and us, and supersede all prior or contemporaneous agreements, representations, warranties and understandings that relate to the subject matter hereof. If a specific agreement is signed by you and us, its provisions shall supersede the provisions of these Terms, to the extent that they are in conflict. This section shall apply to the maximum extent permitted by applicable law. If the laws of your jurisdiction prohibit the application of some or all of the provisions of this section, then this section will not apply to you. You agree to resolve all disputes and claims with us in individual binding arbitration. That includes, but is not limited to, any claims arising out of or relating to: (i) any aspect of the relationship between us; (ii) this agreement; or (iii) your use of the Device, Site, App and the Services. An arbitration is a proceeding before a neutral arbitrator, instead of before a judge or jury. Arbitration is less formal than a lawsuit in court, and provides more limited discovery. It follows different rules than court proceedings, and is subject to very limited review by courts. The arbitrator will issue a written decision and provide a statement of reasons if requested by either party. You understand that you are giving up the right to litigate in court and to have a trial before a judge or jury. You agree to make reasonable, good faith efforts to informally resolve any dispute before initiating arbitration. If you intend to seek arbitration, you must first send us a written notice that describes the nature and basis of the claim or dispute and sets forth the relief sought. If we do not reach an agreement to resolve that claim or dispute within 30 days after the written notice is received, you may commence an arbitration. Written notice to us must be sent via postal mail to the address listed on our Support page at https://mydario.net.au/support/getting-started. You agree not to bring or participate in a class or representative action or collective arbitration. The arbitrator may award relief only in favour of the individual party seeking relief and only to the extent of that party’s individual claim. You also agree not to seek to combine any action or arbitration with any other action or arbitration without our written consent. You may subscribe to Dario Membership (in which case, you are a “Member”), Dario Pro Membership (in which case you are a “Pro Member”) or Premium Membership (in which case you are a “Premium Member”). If you need test strips delivered sooner, you may contact our support team at any time via our Support page at https://mydario.net.au/support/getting-started. Our team will arrange delivery of test strips to you, in an amount determined at their sole discretion, considering the forecast and expected usage of a user in your position. Lancets will be delivered to Members, Pro Members and Premium Members in the first shipment. Live Webinars may be held every month, available for Pro Members and Premium Members only. Webinars will be available to Pro Members and Premium Members only, at any time in the first 24 hours after they take place. Insurance coverage is not required, although you may be able to claim back costs through your private health insurer. You will need to check with your insurer. No prescriptions are required. Only one person may use an account and membership; it is not transferable or exchangeable. If we determine, in our sole discretion, that you are using the test strips for any other person, or in a misleading, fraudulent or deceptive manner, you hereby agree and acknowledge that we may suspend or terminate your membership without refund. All rights reserved, Labstyle Innovation Ltd.